Kpreps.com would like to congratulate Everett Royer for submitting the winning photograph for Week 3 of the Kpreps Friday Night Photo Contest. 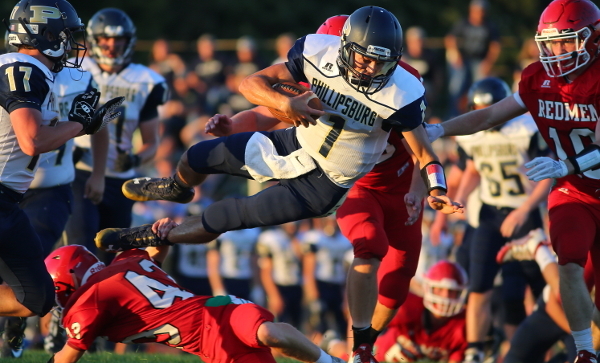 Everett’s photo captures Phillipsburg quarterback Trey Sides going airborne over Smith Center defender Colby Benoit. Sides, a four-year starter at quarterback, helped lead the Panthers to a 42-14 win over the Redmen in a battle of the No. 1 teams in Class 2A and Class 1A. For this winning photograph, Everett is now eligible for our 2018 Grand Prize including $500 in cash.